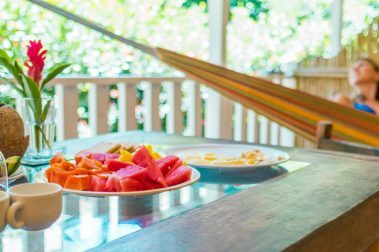 Off the beaten path and just like home, bed & breakfasts are an amazing opportunity to explore Hawaii without sacrificing the comforts you expect from home. The added benefit of staying at a B&B is having a local host to give you valuable insight and guidance while on your Big Island adventure. 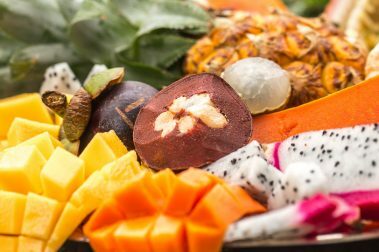 There are a wide variety of themes and amenities offered at these cozy sanctuaries, everything from farm stays, where you can experience a tropical farm lifestyle, to healing and rejuvenating retreats with massage therapists and yoga masters. 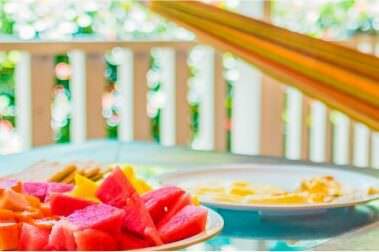 So take some time and learn more about some of the Big Island’s fantastic Bed and Breakfast options. 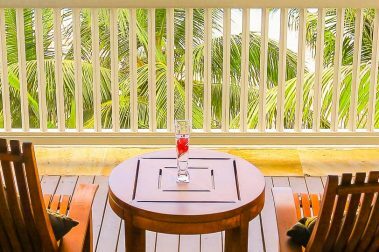 Choosing the right place to stay to match your tastes, expectations, and budget is key to planning your dream Hawaii vacation. 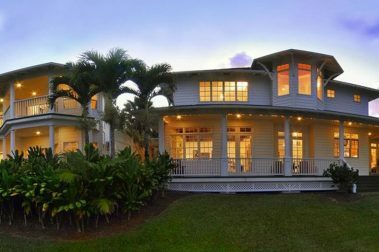 Located right in Hilo, the Hilo Bay Hale Bed and Breakfast is a unique and exciting opportunity to stay in one of the best areas on the Big Island. 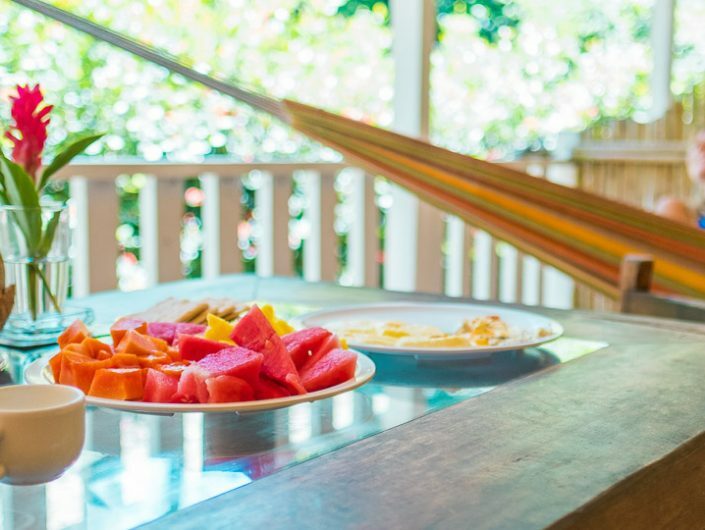 A luxurious and quaint bed and breakfast along the southern region of Kau, the Kalaekilohana Bed and Breakfast makes for a relaxing stay in a remote area. 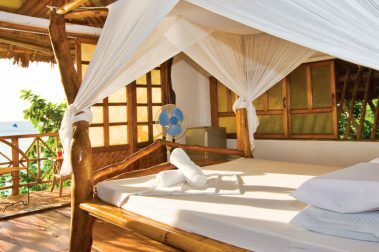 Located on a working garden estate, Honu Kai Bed and Breakfast offers a relaxing stay in an open-air plantation-style home. 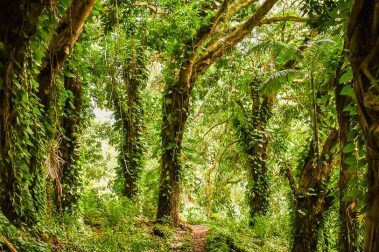 Positioned just south of Kailua-Kona, the Ka’awa Loa Plantation is the perfect destination for visitors looking for a centrally-located yet rural stay. 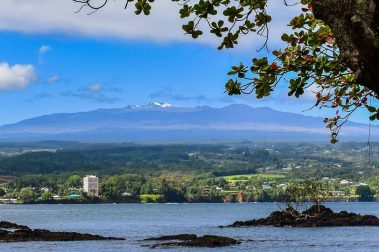 A luxurious B&B in Hilo, the Hilo Bay Oceanfront Bed and Breakfast makes for a comfortable, relaxing Big Island stay. 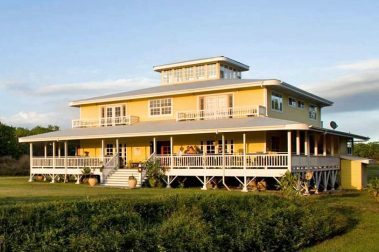 Big Island BnB is a highly rated and cheerful bed & breakfast that offers great value and looks right at home in its beautiful island surroundings of Pepeekeo. 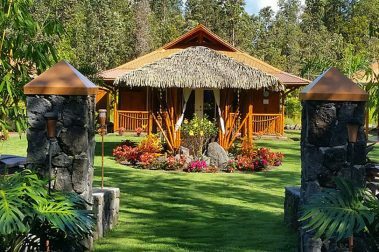 Just a few minutes north of Hilo, Island Goode’s Bed and Breakfast offers a remarkable Big Island vacation experience in an affordable setting. 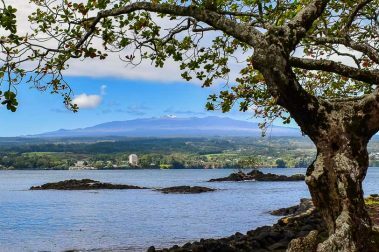 With ocean views and close proximity to downtown Hilo, there’s no better choice for a Big Island stay than Hale Kai Hawaii Bed and Breakfast. 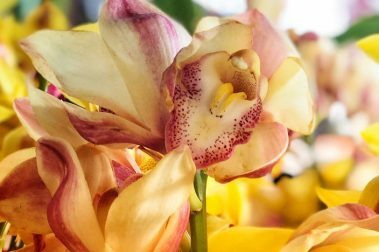 A gorgeous B&B along the Hilo side of the Big Island, the Orchid Tree Bed and Breakfast is an ideal location for a Hawaiian vacation. A magnificent scenic region of the Big Island, the area around the Palms Cliff House Inn makes for a memorable Hawaiian vacation. An adults-only bed and breakfast, this luxury retreat offers ultimate privacy and relaxation for a pampered stay on the Big Island. 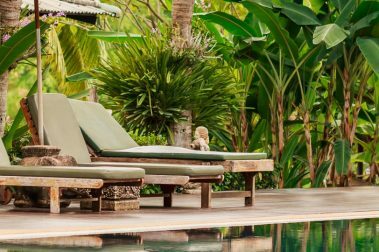 A peaceful refuge along the Big Island’s eastern shores, the Hale Moana Bed and Breakfast offers plenty of luxury amenities to make your stay memorable. 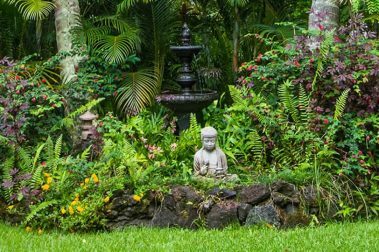 An idyllic retreat near historic Kailua-Kona, the Hawaiian Oasis Bed and Breakfast Inn offers resort-level service and quality in a peaceful setting. With beautiful suites and private bathrooms, the Aloha Guest House Bed and Breakfast is the perfect destination for a romantic Big Island getaway. 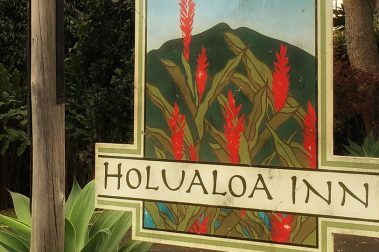 One of the best accommodations for visitors to Hawaii Volcanoes National Park, the Aloha Junction B&B offers the comforts of home in a Big Island setting. 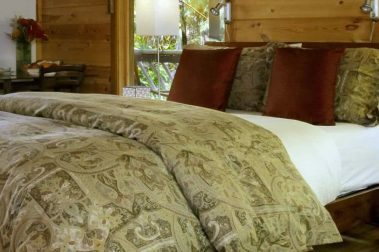 A luxurious bed and breakfast in Volcano Village, the Lotus Garden Cottages are a wonderful option for a romantic Big Island getaway. Comfortable, quaint, and beautiful, Maureen’s Bed and Breakfast offers a relaxing stay within easy distance of Hilo. 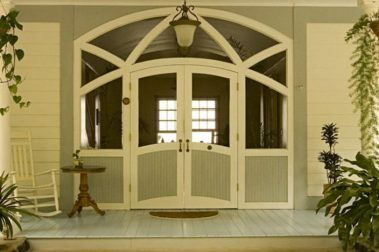 A quaint and beautiful Big Island bed and breakfast, the Ohia House makes for a comfortable, relaxing stay for you and your special someone. 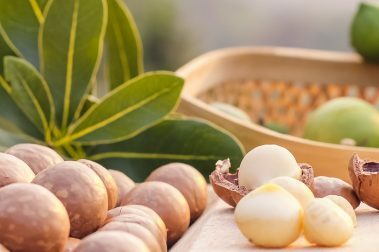 A bed and breakfast on a beautiful macadamia nut farm, Big Island Bed and Breakfast is a wonderful choice for a relaxing vacation. Unique, multilingual, and surrounded by natural beauty, Da Log House Bed and Breakfast has earned its reputation as one of the island’s best vacation stays. 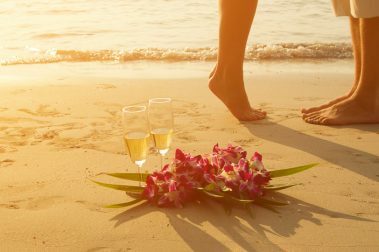 Make your Hawaii wedding dream come true by celebrating your amazing day at a beautiful Hawaiian B&B. There’s something special about staying with knowledgeable locals and sharing their home and hospitality during your vacation, we call it the aloha spirit. 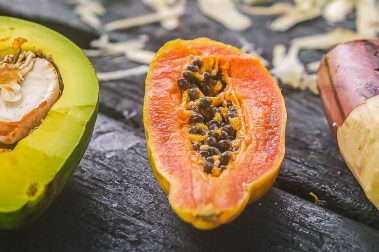 With the geographic diversity and abundance of agriculture on the Big Island, enjoying time at a farm stay B&B is a fun and unique way to experience Hawaii.